On February 28th WJE hosted APT WGLC for a tour of the recently completed expansion of their Janney Technical Center. Participants viewed the chemical, petrographical, metallurgical, and structural testing labs with guides providing overviews and answering questions. Students from the School of the Art Institute of Chicago Historic Preservation program also participated. APT WGLC would like to thank WJE for hosting us! Several APT WGLC members and friends braved cold weather and flu season to attend the annual bowling night on February 21st. Everyone had a fun time catching up with old friends and making new friends. Alex Ardelean earned bragging rights with a high score of 161! Thanks to everyone who participated. Special thanks to board member Matt Novesky for planning the event. EverGreene Architectural Arts and SAIC (with support from Chicago Ornamental Plastering) hosted WGLC participants for a decorative gilding workshop on December 7th. After a tour of the Auditorium Theater to review installed gilding. Participants learned about different types of gilding and were able to apply gold leaf to prepared plaster samples! EverGreene representatives generously answered participant questions and hosted lunch. WGLC is grateful to EAA for sharing their knowledge, donating their time and materials, and providing lunch! We’d also like to thank SAIC for the space and Chicago Ornamental Plastering for the plaster casts. 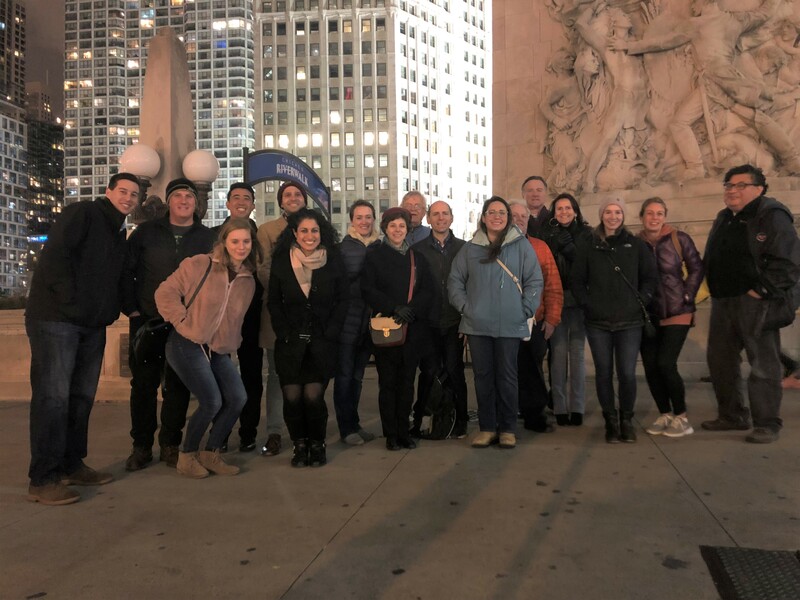 It was a spooky night on November 1st when members and friends of APT WGLC met for a haunted architecture walk in the River North neighborhood of Chicago. The group visited five haunted buildings/sites and stopped along the way to grab a beverage and network. Special thanks to the WGLC Board Member site hosts, especially Matt Luczak for originating the idea and planning the stops! Due to the positive feedback another haunted walk is being considered for 2019. On October 26th seventeen members and friends of APT WGLC met at the Federal Courthouse in Milwaukee, Wisconsin for a Terrazzo Restoration Workshop. The event started with presentations from Anne Sullivan from the School of the Art Institute of Chicago and Tom Mikrut from Terrazzo & Marble Supply Companies and finished with attendees participating in a round-table discussion. After the event, a group toured the atrium with Tom Mikrut to look at terrazzo examples. APT WGLC would like to thank all of the participants and speakers especially Board Member Stephen Mar-Pohl for his organization contributions and GSA for hosting the event! 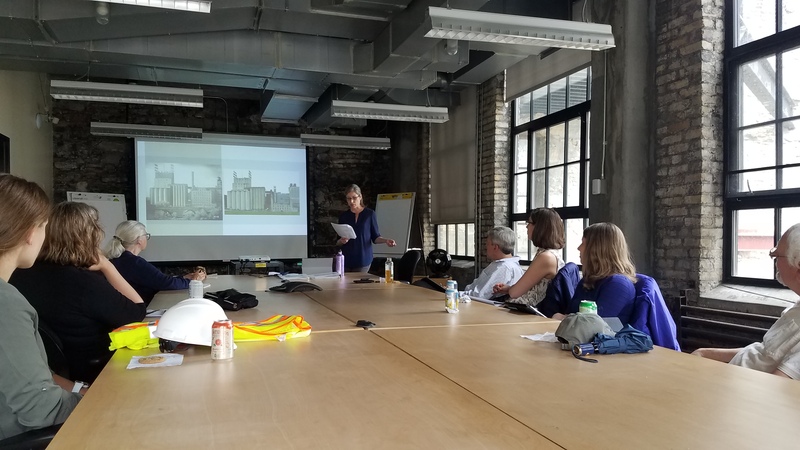 Berglund Construction hosted WGLC Members for an exclusive tour of the Chicago Union Station restoration project on June 29th. WGLC Members received an exciting behind-the-scenes tour including access to the floating platform to observe the skylight restoration. Leonard Koroski of Goettsch Partners provided a thorough context of current and past work. WGLC is grateful to both Berglund and Goettsch Partners for making this tour possible. On June 11th, 13 people attended the first installment of the WGLC Minnesota Education Series. Angela Wolf Scott from MacDonald & Mack Architects presented on the history of Platteville limestone and its production in Minnesota. She expanded this analysis and described how the limestone is impacted once it is exposed to heat, which was important to understand on her recent project at the Mill City Museum. At this site the stone has been exposed to two fires, leaving part of the walls in exposed ruins. Angela’s analysis and research on the existing stone has led to a thoughtful and careful repair methodology on these ruin walls. WGLC would like to thank Angela for her presentation! 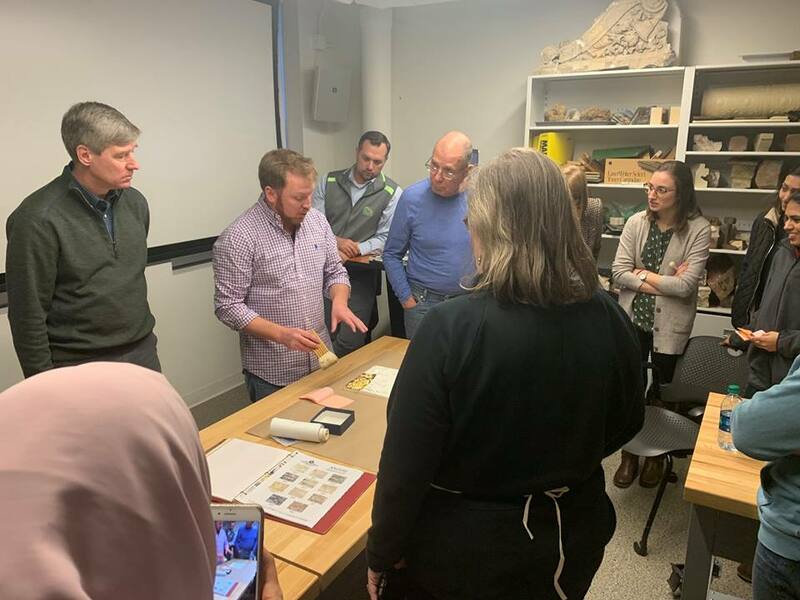 On June 4th and 5th APT WGLC co-sponsored the Building Science and Preservation Workshop with APTI and the School of the Art Institute of Chicago. William Rose, author and research architect from the University of Illinois at Urbana-Champaign presented on the physical science including fluid flow, water vapor, radiation, and heat flow. The event was attended by local professionals as well as several people from out of state and Canada. APT WGLC appreciates the opportunity to host this event with APTI and SAIC. APT WGLC hosted our annual mentoring event with SAIC on April 12th. SAIC preservation students were paired with professional mentors from WGLC as they reviewed three buildings on Clark Street in Rogers Park. The students developed their final projects, a condition assessment report, based on their observations and the guidance received from their mentors. WGLC would like to thank the professional mentors for donating their time to work with the students and SAIC for being a wonderful and consistent partner. WGLC hosted its second annual bowling night on February 15th at Southport Lanes in Chicago. Chapter members and guests enjoyed friendly competition along with beverages and trips to the buffet. The high score of the evening was 158 bowled by Gregory Dowell. Gregory received the grand prize, a Chicago Skyline Lego set. Thanks to all that attended!